Throughout my time here at Rensselaer, I have been very involved with the Indian Students Association (ISA) at RPI. ISA aims to educate students about the traditions, cultures, and the arts of the Indian sub-continent through cultural programs, activities, and events. I have served the association in the past as the Secretary. This year, I am leading the association as President. 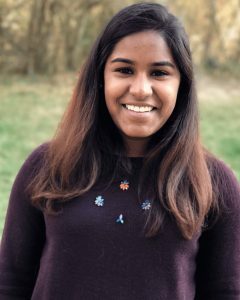 I am also the co-founder and current co-captain of RPI Sangam – an Indian classical dance team dedicated to preserving traditional forms of dance and music across campus and the community. RPI Sangam acts as a forum for students who are interested in the practice of these forms and for the preservation and modern evolution of such classical art forms.